Using data from the twin STEREO spacecraft, scientists have created the first 3D models of coronal mass ejections (CMEs). Observations from STEREO's unique dual perspective garnered over the past two and a half years have allowed scientists to map the shape, velocity, mass and directions of these solar storms. This new capability will dramatically enhance scientists' ability to predict if and how these solar storms could affect Earth. The illustration suggests the 3D nature of STEREO's observations. The animation demonstrates how a three-dimensional model of a CME is constructed using data from the two NASA STEREO spacecraft. 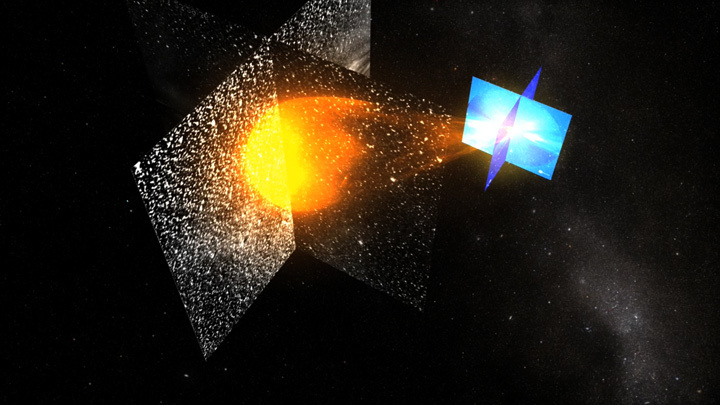 CMEs can release billions of tons of high-energy particles into space, producing a wave of cosmic rays that can impact Earth and disrupt some of the technology that we depend on, such as communications, navigation, and power transmission. 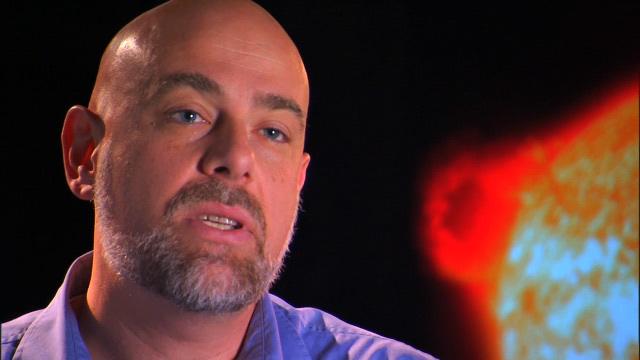 Dr. Angelos Vourlidas, the Project Scientist for STEREO's Sun Earth Connection Coronal and Heliospheric Investivation (SECCHI) instrument, explains how the STEREO satellites have been able to observe the true size, shape, and three-dimensional structure of a coronal mass ejection for the first time.